This 4M Science kit contains all the materials needed to perform seven different crystal growing experiments. 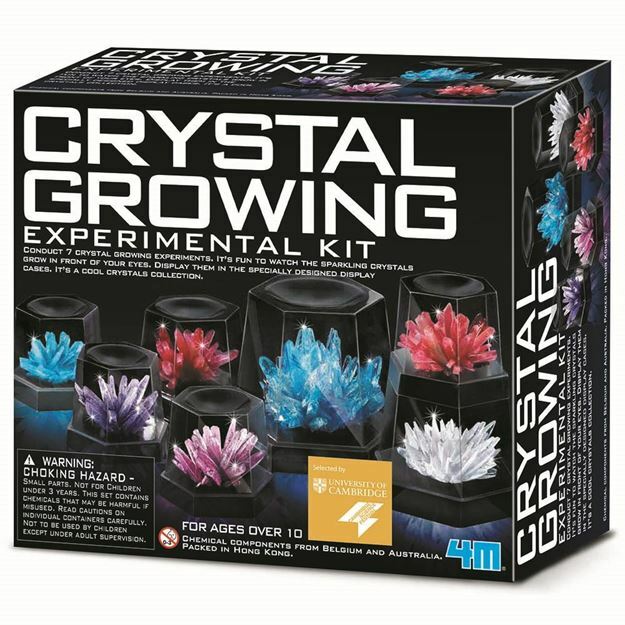 A special display case is included to admire the crystals once they are fully grown. Perfect for young science enthusiasts, especially those with an interest in geology. Includes: 3 large bag of crystal base compound, 3 small bag of colour seeding mixture, a large display and 2 medium displays with transparent covers, accessories and detailed instructions. Age 10+ years.Distributed in New Zealand by Holdson.